The Chicago construction accident attorneys at Rosenfeld Injury Lawyers LLC are committed to holding negligent parties fully accountable when an accident occurs on a worksite. Our law firm represents individuals and families in cases involving a serious injury or a fatality on a commercial or residential construction site. Construction work is one of the most dangerous occupations in America and even the most careful worker can be injured on a construction site. According to the U.S. Bureau of Labor Statistics, 11 out of 100,000 construction workers will die on the job annually. Moreover, 6.3 out of 100 construction workers will be injured and require recuperation away from work every year. Obviously, an accident on a construction site can lead to heartbreaking and financially disastrous results. The material on this page breaks down the legal rights for you in terms of benefits afforded an injured worker under the Workers Compensation Act and Civil Law of Illinois. At the bottom of the page you will also find answers to questions commonly raised by injured workers after a work site accident. All of our Illinois construction site accident cases are handled on a contingency fee basis, where we only charge a fee when and if we are successful in obtaining compensation for you. Begin the process today and complete the case intake form to get started. According to data from the U.S. Bureau of Labor Statistics, of the nearly 150,000 people injured each year while working on construction sites, the largest demographic involved in these accidents are male workers between 25 and 34 years old. Many of these injuries are significant and will require medical attention and result in the worker losing time from work. Most construction accidents tend to fall into one of a few categories, including falling objects; slip, trip, and fall accidents; scaffolding and ladder accidents; electrocution; accidents involving machinery; and explosions. Whether due to debris, a falling tool, or a roof collapse, injuries resulting from falling objects may be severe or fatal due to the momentum of the falling object. According to 2015 OSHA statistics, 9.6% of construction fatalities were attributed to these accidents. Fall accidents are the second most common source of injuries or deaths that take place on construction sites, according to the U.S. Bureau of Labor Statistics. An analysis of construction fatalities from 2003 to 2005 revealed that 55% of the deaths were related to falls. A fall from any significant height can result in severe injuries, and many fall accidents occur when a ladder or scaffold contains a defect or is used inappropriately. These accidents can occur when workers are unaware that they are working near a live electric current or when they strike a power line while digging. OSHA estimates that 8.6% of construction fatalities are related to electrocution. Workers may be injured due to the negligent operation of cranes, hoists, tractors, conveyors, or other machines. Heavy machinery is regularly present on road construction sites as well. Manufacturing or design defects may also cause workers harm when the defective components cause the machines to fail or to operate in a way that wasn’t intended. More than 7% of construction worker deaths were related to being caught in or between something(s), and many of these situations involved heavy machinery. The presence of hazardous materials or the need to dig near a gas line may result in an explosion that injures or kills workers in the blast radius. Other construction accidents may involve inadequate supervision, lack of training, or poorly maintained equipment. Some of the more commonly reported injuries include back injuries, fractures, joint injuries, traumatic brain injury, burns, amputations, and death. The Occupational Safety and Health Administration (OSHA) is a government agency responsible for protecting workers in all industries from unsafe conditions. In order to ensure the safety of construction workers, OSHA has a series of specific regulations pertaining to virtually every aspect of work performed on a small or large construction project. If you or a loved one was seriously injured or killed in an accident involving a construction project, there is a strong likelihood that an OHSA violation was present and caused or contributed to the incident. When evidence of an OHSA violation has been established, it can be helpful in assembling a case involving the responsible companies. Some of the most commonly cited OHSA violations in 2016 included: fall protection, hazard communications, scaffolding, respiratory protection, control of hazardous energy, powered industrial trucks, ladders, machinery and machine guarding, electrical, and electrical systems design. These OSHA violations apply to an entire range of construction accidents. For more information on how to file a complaint about a dangerous work condition with OSHA, we invite you to contact our office for a free case review. Our Chicago construction accident attorneys can assist you with filing a complaint and advise you of your legal rights with respect to pursuing an Illinois construction accident lawsuit for personal injury or wrongful death. Workers' compensation is most closely analogous to insurance. The Illinois Workers Compensation Act provides for payment of medical expenses, lost wages while incapacitated, and possibly a lump-sum payment based on the extent of your injury. The catch is that in many instances you must forfeit your right to sue your employer if you accept workers' compensation for your construction accident. However, the process of workers' compensation is often "no-fault." These benefits are paid by your employer and are paid regardless of who was at fault for the accident. This can be an easier route to compensation than litigation in some cases. It is very important that you discuss with your attorney the differences and opportunities that both litigation and workers' compensation afford you. If you have been injured in a Chicago workplace accident, it is important to have an advocate representing your interests who is knowledgeable, experienced and capable. In order to ensure that you are not taken advantage of and that you receive all of the benefits and compensation to which you are entitled, you must first determine who is responsible for your injuries and whether you can prove fault. Initiating an investigation early will give your attorney the best chance of gathering important and relevant evidence. Delaying the investigation only increases the likelihood of evidence being lost. An experienced construction site accident lawyer will seek access to the scene of the accident as early as possible and may seek the opinions and expertise of those who specialize in accident reconstruction. Your attorney will document relevant evidence and testimony during this initial investigation. Your attorney can also help you understand the terms and limits of your workers’ compensation benefits so that you do not inadvertently hurt your ability to file a claim or reduce your compensation and the value of your case. As an employee in Illinois, you are generally barred from pursuing a civil lawsuit against your direct employer. Your exclusive remedy is limited to benefits under workers’ compensation. However, if a third party, aside from your employer, caused or contributed to the incident that caused your injuries, you can seek help from an Illinois construction accident attorney and file a lawsuit to recover compensation that goes beyond what is afforded to you under workers’ compensation. By pursuing what is referred to as a third-party lawsuit, an injured construction worker could recover compensation for additional damages recognized under Illinois law, such as medical expenses, pain and suffering, lost wages, disfigurement, or wrongful death. 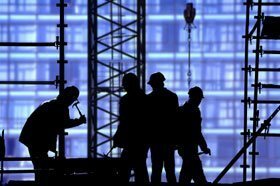 Rosenfeld Injury Lawyers LLC regularly pursues the following damages for injured workers in Chicago construction accident lawsuits. Recover of medical expenses can include compensation for past and future care related to injuries. Examples of medical expenses would include emergency room care, surgical expenses, physical therapy, ambulance costs, prescription medicine, and doctor visits. The law entitles you to recover compensation for pain you experience as a result of your injuries as well as the pain that accompanies medical treatment incurred. Past and future wages and benefits (insurance, retirement, vacation time) are compensable. A construction worker injured on the job and unable to return to the position due to injury is entitled to recover wages for the remainder of their working life. For example, if you are 40 years old and make $50,000 a year, and you suffer an injury that prevents you from returning to your position, you would be entitled to compensation for lost wages for the rest of your working life: Using a retirement age of 70, you would be entitled to $1,500,000 in lost wages (30 years at $50,000 per year). Many injuries, such as burns and orthopedic injuries, may leave visible reminders of an incident. The law allows people with these types of injuries to recover compensation for their disfigurement. When a construction worker is killed on the job or dies from their injuries, the family of the deceased can recover compensation for their loss of economic and emotional support. Some of the parties that may be pursued as defendants in third-party construction accident lawsuits include general contractors, subcontractors, architects and engineers, product manufacturers, property owners, and engineering companies. We appreciate how an injury-related accident can have an immediate physical and financial impact on yourself and your family. Below are some questions and answers commonly encountered by some our or current and former clients. Of course, should you have additional questions, we invite you to contact our office for a free consultation. What are my Options if I’m Injured on an Illinois Construction Site? Generally, workers’ compensation only provides limited benefits that cover medical costs and time away from work. After filing a report, your employer will likely assist you in filing for workers compensation. This will help you replace lost income and pay for medical treatment so that you can return to work. In cases of obvious safety violations, OSHA will likely start an investigation. Even though your workers’ compensation claim limits your ability to file suit against your employer for negligence, an attorney may be able to file a third-party lawsuit on your behalf against your employer if willful misconduct can be proven. Additionally, a suit or claim can be filed against any other third party responsible for your injuries. This could include other contractors, developers, architects, engineers, the construction site owner, product manufacturers, or rental supply companies directly or indirectly involved in causing the accident. Be sure to seek the guidance of a workers’ compensation attorney to explore your options. What are the Most Common Types of Accidents on Construction Sites? Some of the most common accidents and injuries on construction sites involve: falls, falling objects, equipment injuries, fire injuries, collapsing injuries, crushed injuries, repetitive injuries, heat or chemical exposure, frostbite, co-worker misconduct, asbestos, and respiratory and organ failures. How Long do I Have to File an Illinois Construction Site Accident Lawsuit? All construction accident lawsuits must be filed within a period of time known as the statute of limitations. In Illinois, a suit for personal injuries must be brought within two years of the accident. 735 ILCS 5/13-202. However, a property damage claim has a five-year statute of limitations from the date of the accident. 735 ILCS 5/13-205. For workers’ compensation cases, there are two time periods to consider. First, you should notify your employer that you were injured and that your injuries arose from your employment. You should give this notice as soon as possible, but no longer than 45 days after the date of your accident. See 820 ILCS 305/6(c). Second, you should file your claim with the Illinois Workers’ Compensation Commission within two years from the last payment of compensation from your employer, or three years from the date of your injury. See 820 ILCS 305/6(d). When it comes to repetitive use injuries or long-term exposure injuries, these dates may be more complicated to determine, so it’s best to consult an attorney to ensure that your claims are timely. What Type of Compensation can I go After if I am Injured While Working on a Construction Site? If you or a loved one are injured in a construction accident while working, you may be able to recover workers’ compensation for lost wages, medical expenses, and possibly a lump-sum payment if you are disabled. However, if there is a third-party involved in your accident that isn’t your direct employer, or if there is willful misconduct by your employer, you may be able to bring suit against these third parties for additional damages, including lost wages, pain and suffering, and wrongful death. It’s best to consult an experienced construction accident attorney to determine your best course of action. How Much Have Other Illinois Construction Cases Settled for? $1,228,594 jury award: A 37-year-old male construction worker sustained a tibia fracture while working at a job site. The scaffolding he was on fell apart during a storm and he fell. He sued his employer and alleged that it negligently kept workers on the job during the storm and failed to monitor the site for the employees’ safety. The defendant argued that the plaintiff was the negligent party because he should have watched the weather, taken control of his body, and taken other safety measures. Stuck on the issue of fault, the parties went to trial. The jury found for the plaintiff, but also awarded him 22% of the responsibility, reducing his award by that amount. $355,000 jury award: This incident involved a 59-year-old construction worker. He was mounting windows when the scaffold he was working on collapsed. He fell and suffered various injuries including back and neck sprains, herniated discs, and a worsening of prior medical issues such as arthritis. He sued his employer and sought damages for these injuries. His suit stated that the company should have made the job site safer and supervised the plaintiff properly. Additionally, the plaintiff alleged that the scaffold in question could not hold his weight and was unsuitable for working conditions. The defendant denied these claims and argued that the plaintiff was exaggerating the nature of his injuries. The jury found for the construction worker, awarding him $55,000 in medical costs, $150,000 for pain and suffering, and $150,000 in punitive damages. $2,000,000 settlement: This unfortunate construction accident happened on a cold and rainy day. The worker involved was operating an outrigger crane when it started to malfunction. He got out of the seat and went to inspect the matter. He discovered a pin was out of place and attempted to replace it. He slipped and caught his hand in the crane, where it was immediately crushed. He lost permanent use of his hand. When he recovered from the incident, he sued his employer as well as the subcontractor and the land owner. His claims broadly alleged that the defendants should have made the construction site safer and provided him with better equipment. Eventually all of the defendants settled for a combined $2,000,000 for his injuries. The best way to determine the value of your case is by consulting an experienced Chicago construction accident attorney. Rosenfeld Injury Lawyers do not charge for our initial consultation, so it is always free to come discuss your case. In addition, we work on a contingency fee, so we will not ask for payment up front. We will only charge a fee once we have made a financial recovery for you. The Illinois Legislature has set attorneys' fees for workers compensation cases at 20% for most situations. If there is a separate case against a third-party, the case is handled separately, and the separate fee agreement will need to be agreed upon. Fees are clearly laid out in the representation agreement signed by all clients and submitted for the approval of the Illinois Workers’ Compensation Commission. Rosenfeld Injury Lawyers LLC is committed to securing the maximum compensation Illinois law allows for our clients. If you or a loved one was injured or killed while working on a construction project in Chicago or elsewhere in Illinois, we are interested in speaking with you. We always offer free consultations and our attorneys will meet with you at a convenient location. What to do After a Construction Accident?